I put these steps together using information and videos from this site http://blogs.technet.com/b/xdot509/. Open the Certification Authority snap-in, right click on the CA name, and select Properties. Click Next when the wizard launches. At the next screen, check the boxes next to Private key and CA certificate and Certificate database and certificate database log. Select the C:\CABackupDatabase folder created in Step 1. Click Next. Enter a password to secure the private key and CA certificate. Click Next. Verify that the certificate and database files were exported in the target directory. Export the **HKLMSYSTEMCurrentControlSetServicesCertSvcConfiguration** key to the *C:\\CABackupConfig* directory created in Step 1. Copy the C:\CABackup directory to the Windows 2012 server. I maintained the same servernames for my CA’s when I migrated so we’ll do the same here. Rename the Windows 2012 CA server to the same computer name as the 2008 root CA. As these are both offline and not joined to a domain, there shouldn’t be any naming collision in AD. If there is a static A record in DNS, that will need to be updated if the IP address is different. Add the **Active Directory Certificate Services **role to the Windows 2012 server. After restarting, finish the configuration of the ADCS. Select Certificate Authority, then Next. Select Root CA as the CA Type and click Next. At the Specify the type of the private key screen, select Use existing private key and the option Select a certificate and use its associated private key. Click Next. Click the Import **button and browse to the pfx certificate backed up from the Windows 2008 root CA. Enter the password then click It will take a few seconds for the certificate to appear, when it does, select the certificate name and click **Next. Accept the defaults for the database and log locations or specify a different location. Click Next. When the process completes, launch the **Certification Authority **mmc and verify the CA is visible and started. 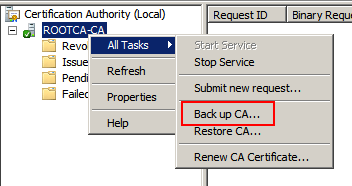 Right click on the name of the CA and select All Tasks/Restore CA. Click OK to stop the services. When the wizard launches, select the checkbox next to Certificate database and certificate database log. Browse to the location of the database files backed up from the Windows 2008 Root CA. Click Next. Select Yes to start the services when prompted. On the Windows 2012 root CA, export the same registry key from Step 7. Go the C:\CABackupConfig folder on the Windows 2012 root CA server, right click on the .reg file and select Merge. 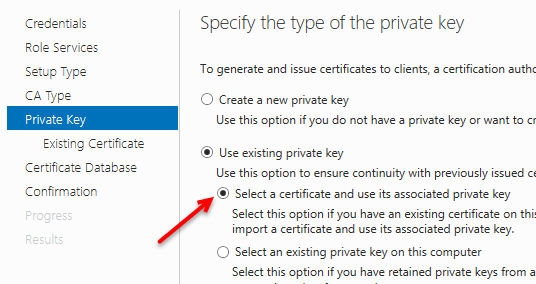 In the Certification Authority mmc, right click the server name and stop, then start the services one more time. This will create a new CRL which can be copied to the CRL Distribution Points. If any scripts were previously copied over, they may be restored now. Remove stale requests and certificates and defrag/compact the databases on the Subordinate CA’s to remove the whitespace. 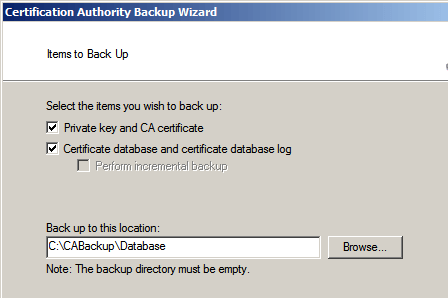 Backup the offline Root CA certificate, keys, and database and restore to the Windows 2012 offline Root CA. 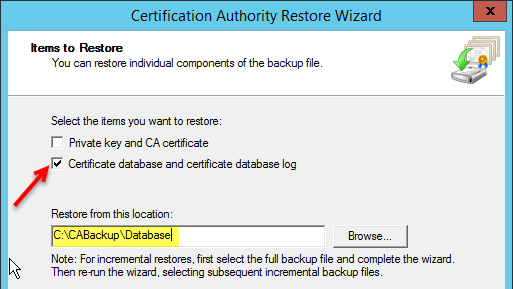 Backup the certificates, keys, database, custom scripts on each of the Subordinate CA’s and then restore to the Windows 2012 Subordinate CA’s. This post will cover the easy part which is preparing the cleaning up and shrinking the databases. Since I have to do this more than once and will need to occasionally perform ongoing cleanup maintenance on the databases at later dates, I put the process into a simple batch file shown below. I added a lot of inline documentation because this isn’t something that is done very often and I don’t want to keep pulling up old articles and documentation explaining what I did the last time, plus I plan on handing this off to someone else for maintenance once the migration is completed so the script documentation will help that individual(s) as well. As a side note, the certutil -deleterow process will appear to throw errors in the exit codes after it displays how may rows were affected (deleted). This is expected as there is a limitation on how many records the utility can delete at one time and if you have more records to delete than the limitation, the process triggers an error. The script below uses a loop to cycle through the process until all the specified records have been removed at which time it will complete with an exit code of 0 (zero). REM Change the following to reflect the type of record to be deleted. REM (returned from certutil -deleterow -? REM Set the following variable to "true" (no quotes) to enable backups. REM Specify the directory path where the backup will be stored. REM If the performbackup variable is false, this value has no effect. REM Set the following variable to "true" (no quotes) to compact the database. REM CA cannot be online during compaction. REM Specify the directory path where current CA database is located. REM will be copied to a new location and renamed with a random name. REM If the performdefrag variable is false, this value has no effect. REM process can take a LONG time to complete. REM Perform backup if specified earlier in the script. REM Perform database compaction if specified earlier in the script. Adding SNMP monitoring for network devices in SCOM 2012 has improved substantially over previous versions. SNMP monitoring is great for basic alerting (up/down) and obviously our performance data will come from SNMP; however, to get fairly granular alerting on most network devices we need to leverage syslog. The documentation on this is fairly light and a little inconsistent so I thought I’d post what works for me. Create the Groups It is a good idea to create a new management pack to contain the groups and the rules used in syslog monitoring. It simplifies targeting for overrides without getting into additional details of visibility limitations due to sealed and unsealed management packs. 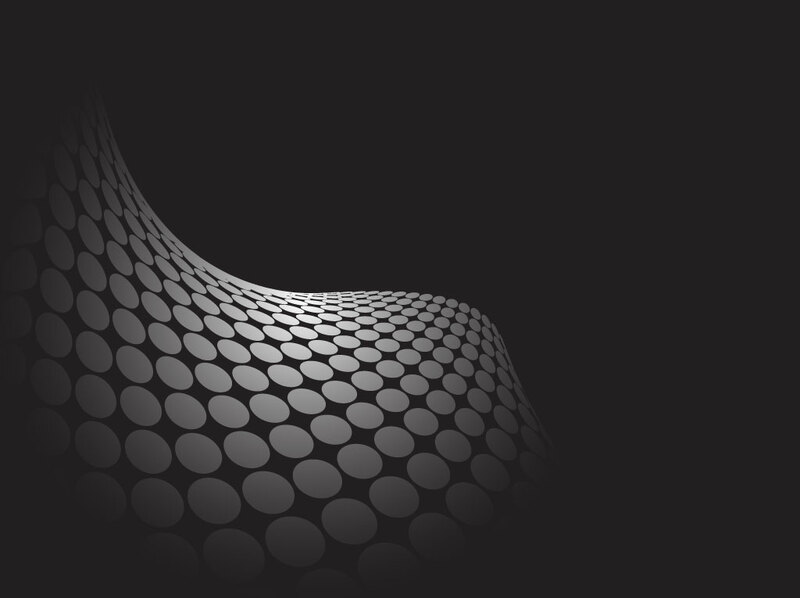 Once you have your devices discovered, the next step is to create groups containing similar devices that will share similar syslog events you want to target. For example, you might want to create a group to contain your routers, another for your edge switches, another for your core switches, another for your VoIP telephony, etc. Populate the groups accordingly with the network devices. When you target the members (either via the Explicit Members or the Dynamic Member tabs) you will want to target objects of type Node (System.NetworkManagement.Node). I would add that you will need a pretty solid IP scheme standard in place (e.g. 1-5 in last octet reserved for routers, 6-15 in last octet reserved for switches, etc.) in your environment to leverage the Dynamic Members tab effectively. If you do, this site has helped me quite a bit with the joy that is regex for ip addresses: Working with regular expressions and ip addresses in OpsMgr 2012. Edit (08.23.2015 - I also bit the bullet and posted some details regarding SCOM and regular expressions in a bit more detail that might help at Using Regular Expressions with SCOM 2012 Groups). Create the Alerts After you have set up your group(s), you are ready to move on to creating the rules that will alert on the syslog messages. Alerts are categorized from the different system components through defined Facility names listed below. Full parameter list is referenced at IANA here. A good example for a first rule would be alerting on all Severity 0 events. 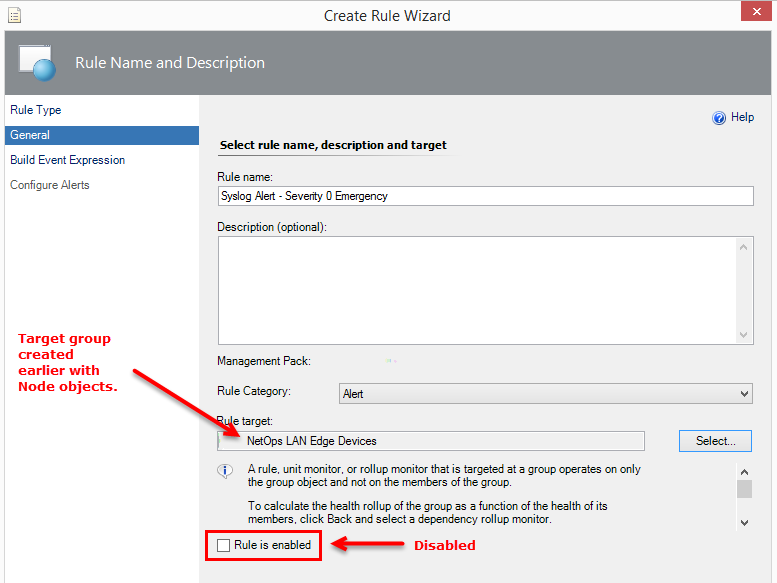 In the Authoring pane of the Operations Manager console, right click on Rules and create a new Rule. 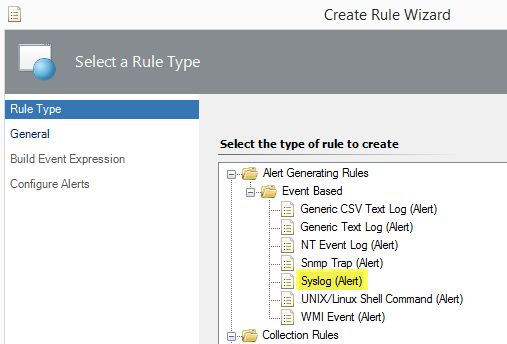 Select the Syslog (Alert) rule under Event Based. Give the rule a name and select the group created earlier. This group should contain objects of the Node class. Be sure to uncheck the Rule is enabled checkbox. These rules should all be created as disabled; they will be enabled via overrides later. 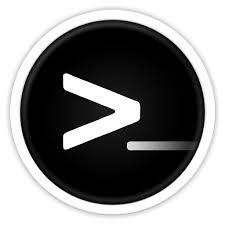 To configure the filter two parameters need to be defined: Severity and HostName. The severity is self explanatory. The HostName will be critical to prevent the alert from triggering once for each device in the group. As this rule is targeting Severity 0 (zero) events, set the first parameter to Severity Equals 0. Insert an additional parameter and set it to HostName Equals $Target/Property[Type="System!System.Entity"]/DisplayName$. This will ensure the alert only fires once for each device it matches instead of all group members. This is different from Alert Suppression. Go back into the properties of the rule and select the Configuration tab. Select the Edit button under Responses at the bottom. Click the Alert Suppression button. Select the following checkboxes to prevents duplicate alerts: Event Source, Logging Computer, **and **Event Level. Save the changes. The final step is to Override the alert for the target group(s) you want the alert to be functional and set the override to Enable. Where “Message” is the Parameter Name; “Matches regular expression” is the Operator; and “duplicate. *address” is the Value. In “duplicate. *address”; the “dot” means to match any character and the “asterisk” means to match any number of times. Therefore, this would match both “duplicate ip address” as well as “duplicate mac address” using SCOM Regular Expression Support. This method worked for me because I had hundreds of network devices across multiple subnets and this approach allowed me to group the similar devices together and then target all the custom rules I created to the groups where they were applicable based upon the message. This might also be approached from a completely different angle where the rules targeted the server objects receiving the syslog alerts themselves (agents or management servers) instead of Node objects although that might not scale for large environments. Either way, this was mainly a way for me to document what I did for later reference. I hope it may have saved you some time in your configuration.